Currently Viewing Topic: Moose & Squirrel v Boris & Natasha: what's the deal with the rooskies and trumpland? Give the Caps credit in the SCF last year. They really neutralized a VGK team that had been playing very well......the Knights really never had much of a chance in games 3 and 4 at Capital One. Think a lot of disdain for VGK from some Caps fans Is because GMGM and remembering the bad Forsberg trade. I went to the Caps-VGK regular season game in Vegas this year (early December) and it was a great atmosphere. Not just the tacky pre-game stuff, but all throughout the game. Looked at the Skins website to see what the cheapest ticket sold by the team was for each game on Ticketmaster (so not including resale): Dallas was $155 Pats $135 Chicago and Philly $90 Rest of regular season $71 Preseason $45 Basic fee per ticket ranged from $8 (preseason) per ticket to $25 per ticket (Dallas). Additional $7 in fees per ticket standard no matter the game. Skins were also offering parking from $55 for redzone to $60 for green to $65 for orange. Think he misread the stat and thought the Panthers had the 8-6 series edge instead of us. LOL, I didn't read any of the "nuggets against opponents" part of this thing after enduring the first portion....."the Redskins will next play 5 consecutive 1 pm games," as opposed to the two 1 pm games directly before that stretch. So poorly edited....they could've probably written something disparaging about Snyder in there and still would've sent it without anyone noticing. They should hire Kleese to write the "nuggets" part so he can do it a la his old "history" threads and add that he saw the MNF game against the 49ers in 1998 at a newly-opened sports bar in Ponca City, OK. But move him to Hawaii for this assignment, so he'll have to watch the Skins games at 7 am and wonder how he'll have to spend the remainder of his Sunday by late morning! Fair point, but looked at the Raiders schedules the past 10 years or so and nothing nearly as extreme as this year as far as the Raiders being gone from basically gone from home from mid-Sep to early Nov. Think it meant to say "wins in season openers where the team has opened on the road." Since 1971-72, Skins have only opened on the road in consecutive seasons three times (1977-78, 1997-98, 2008-09) prior to 2018-19, and did not win both season openers in each of the three instances. The press release, intentionally or not, seems to almost go out of its way in emphasizing all of the 1 pm games. Here's another crazy one: in their last season in Oakland, the Raiders play at home against the Chiefs on 9/15. The next six weeks, they will either be on the road (4 games), a "home" game against the Bears in London, and a bye week. They don't physically play in Oakland again until 11/3. That's either easing the Raiders fans into the pending reality, or kicking them in the nuts, depending on your POV. Speaking of Thanksgiving, two of the three games are repeats from last year (Chicago-Detroit and New Orleans-Atlanta, with the night game just switching venues from last year). Dallas plays Buffalo this season (yawn), but played the Skins two out of the past three seasons. I know Dallas and Detroit are locked in on Turkey Day, but would it be too much to ask for some more variety as far as the other participants on that day? 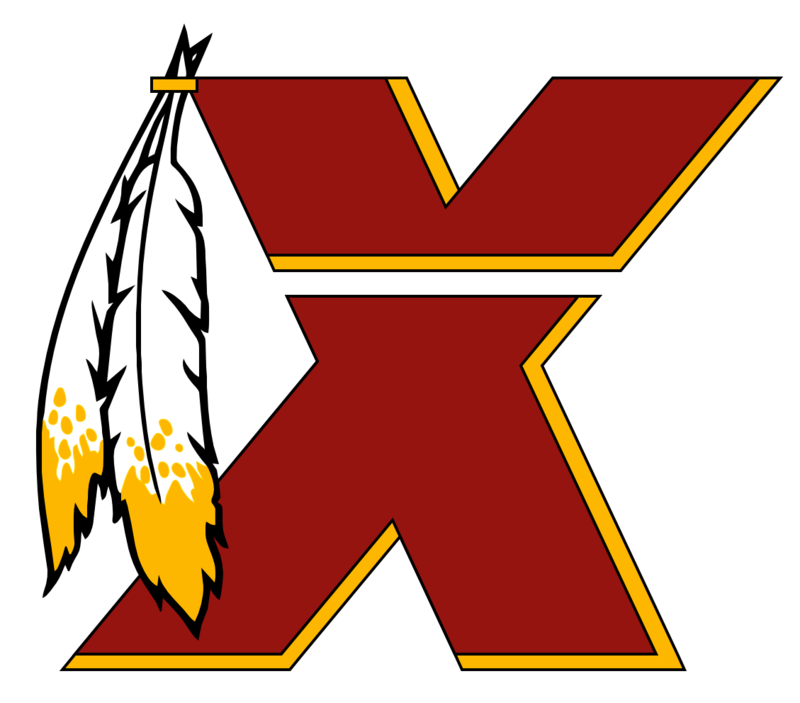 I think most people are going to look at what the Redskins have done in recent years and assess the current talent level on the team and rightfully predict something in the slightly sub .500 neighborhood, and hope that they are pleasantly surprised when the games are played. But the current issue, IMO, is that this team has been mediocre for so long, that even that hope is gone. There is virtually zero interest in the Redskins right now. I totally agree with you. But it is jarring to see even how low interest in this team is. In past years a thread like this would be buzzing when the schedule was released. Now there's just a few of us talking about it. Yeah, what was interesting last season was that the Skins had no primetime games. If they had trouble getting people to attend the 1 pm games, how are people going to be jacked to go out to Landover on a Monday night? I think the Lafemina policies from last year are gonna be scrapped, and cheap secondary prices will return. Also, wonder if there's any possibility of removing still more seats. I remember the first indication we had they were removing seats the first time was at the DDP way back. NC, the issue with the division games to end the season is that two out of three are at home, including against Philly. It'll be awesome if somehow the Skins surprise and be in contention and we can have close to rocking houses at those games. But if we have another season like, say, 2016 where its essentially over by the end of November...….you won't get a lot of opposing fans if you're playing Denver and Arizona at FedEx to play out the string. But Philly and NY......hoo boy!